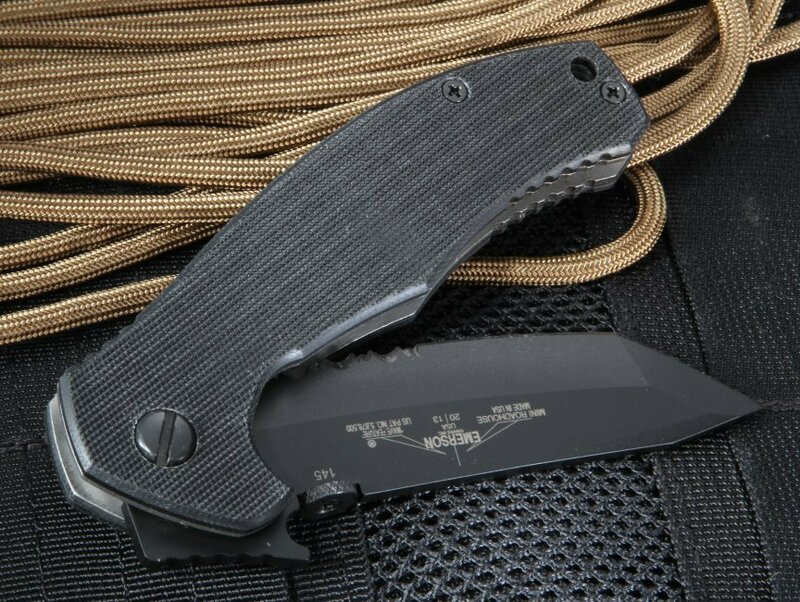 The Emerson Mini Roadhouse BTS black blade knife adds a serrated edge to the already impressive features of the Mini Roadhouse BT. 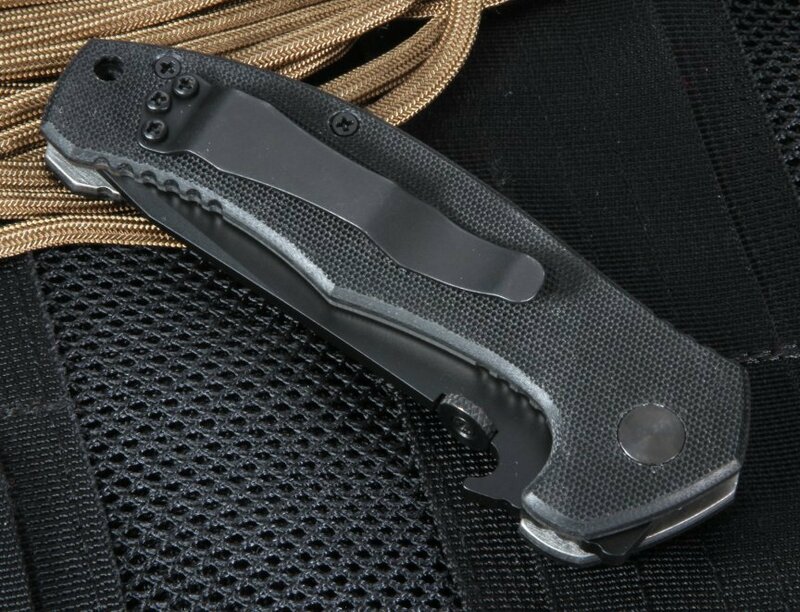 The Mini Roadhouse BTS carries on the comfort and convenience features of the Emerson Roadhouse line and the striking, all-black style that’s defined by the 3.5-inch 154CM stainless steel blade with a black coating. 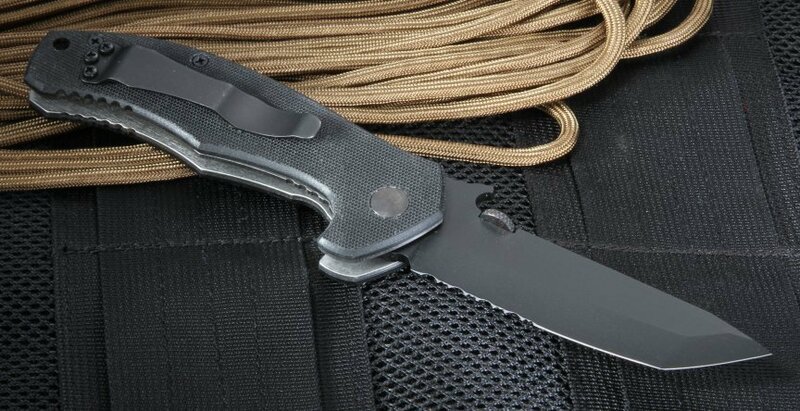 The finish on the blade and the textured black G-10 handle give the Mini Roadhouse BTS a blacked-out look while the serrations on the modified tanto blade separate it from other models in the line. 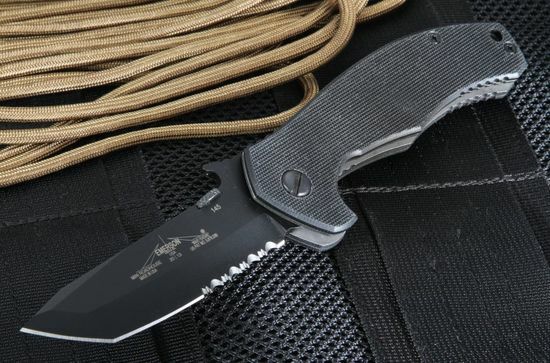 You still get useful design touches such as Emerson’s patented wave feature and a thumb disc mounted on the blade spine, which combine for fast and easy opening, especially combined with the pocket clip positioned for tip-up carrying. Get a classic liner lock design in a compact size with the uniquely dark Emerson Mini Roadhouse BTS black blade knife with serrated edge.